Online Jobs | Earn Dollars Pinoy! You suddenly lost your job or you got pregnant and can’t work in an office anymore.. You’re retired and can no longer get a job unless it’s a call center work or an undergrad who finds it hard to get a decent job… So what do you do? If you have a computer at home with a fast internet connection, I’d say, go look for something to do online.. Not games, not Facebook but something which can help you earn another source of income. Why waste your time “Facebooking” when you can spend your time “Googling” the keyword – Work at Home Jobs for Filipinos. There are tons of online opportunities for us Pinoys though one has to be careful not to fall prey in some scammy activities. Yes, 9 out of 10 Filipinos get scammed one time or another. Some lose big time and some for just a few dollars. Scam isn’t just an offline thing or something that happens only in the real world. Since the birth of the internet, these kind of people have evolved too. Well, online they can do a lot of damage more so if a person is hungry for money or seeking for a get rich quick type of job. This entry was posted in Make Money Online and tagged Elance, Freelancer, Make Money Online, Odesk, Online Jobs, OnlineJobs.ph, Work at Home, Work from Home on July 26, 2011 by admin. I promised something to myself before 2010 said goodbye and I’m praying hard that it will come true. I have many plans this first quarter of the year and some of them are slowly taking form. Sometimes, I get what I want but most of the time, not.. So, imagine my excitement when I finally got this site operational. Happiness is overflowing because this is what I’m good at and this is exactly what I want. Okay, since the title of this post is what it say it is, then let’s get on with what I really wanna say here. Previously in my welcoming post here, I mentioned something about having a category solely dedicated to a JOB BOARD. A job board is basically where you can find a job most suited to your expertise. Now, don’t get excited yet because these are just links to jobs that I find online. What you should do is check out the source. This is just the initial stage of my plan. When things are doing great and I have the tools to start my business, then I’m off to a much bigger and greener pasture. Of course, that business will only cater to Pinoys qualified to be under my wings. 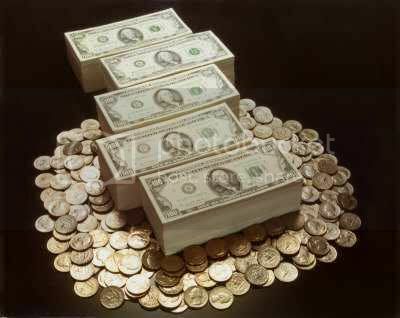 This entry was posted in Blogging and tagged Job Boards, Make Money Online, Online Jobs on January 15, 2011 by admin.